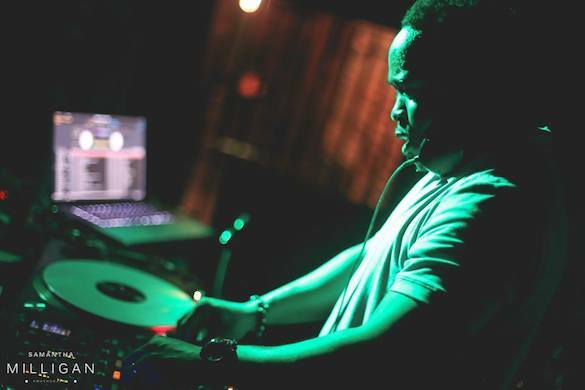 Brooklyn, New York born Spinna Dj-Vincent Williams aka DJ Spinna is a creative talent who globally and musically transcends genres and limitations. 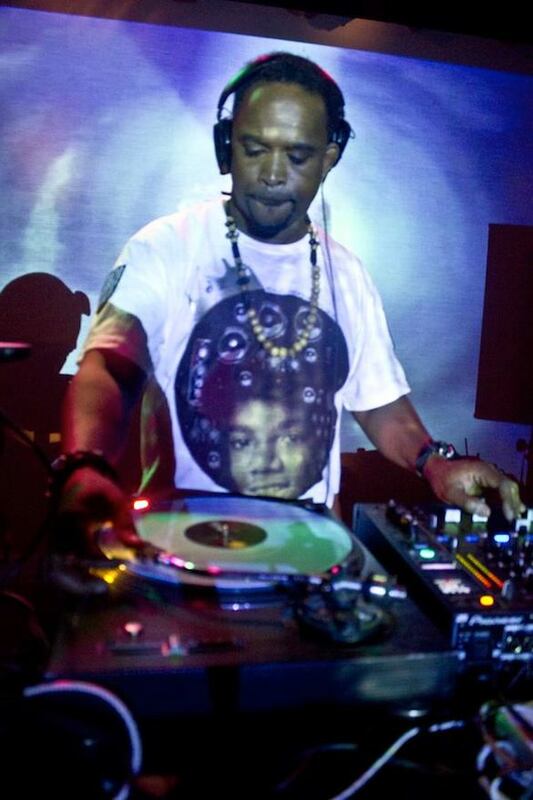 An extraordinary deejay, producer, remixer, and music historian, DJ Spinna possesses a remarkable mix of musical abilities. Spinna’s only parameter is that his work must evoke a fresh take on the timeless sounds of soulful music. 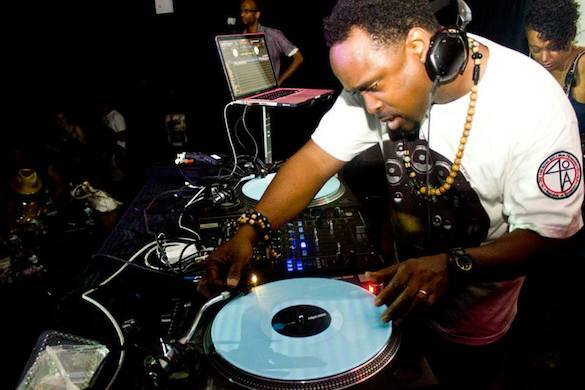 A cornerstone of Hip-Hop’s late 90’s indie-uprise, DJ Spinna made much of his first impression on listeners as the musical background of his group The Jigmastas (having released an impressive slew of 12” singles on his then self-run label Beyond Real during this time) as well as providing the canvats for an array of that era’s lyrical giants including Eminem, Mos Def, Talib Kweli, Pharoahe Monch and De La Soul. Later down the line Spinna started turning out remixes for A-List artists from a range of styles including a Mary J. Blige, George Michael duet and a hard-driving soulful remix of Michael Jacksons “We’re Almost There” commissioned by Motown Records. He went on to rework classic marvels by Donald Byrd, Eddie Kendricks, Betty Carter, Roy Ayers, Al Jarreau, and Stevie Wonder. His list of labels he’s worked for in the house field are endless but they include King Street, Z Records, Defected, GOGO Music, Vega Records. Papa Records, Soulfuric, West End Records, Reel People Music, Nervous & BBE to name a few & he runs his on label, Wonderwax. 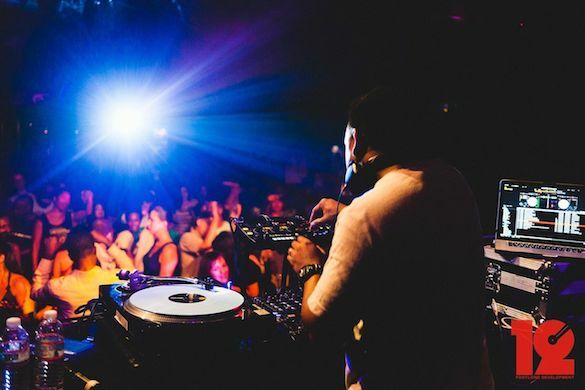 Spinna has managed to carve out a reputation as a world-class DJ and is one of a handful of Deejays that are as well respected for pristine house tempo mixing as they are for their hip hop rooted turntabalism. So we wanted to find out more about how he DJ’s. “The Sound Beyond Stars – The Essential Remixes” out on Traxsource. Are you more of a DJ or Producer—or one in the same? I would say I’m both, but DJing is definitely my first love. I was inspired by watching and hearing local DJ’s in Brooklyn at house parties, and block parties in the mid seventies while growing up. I was also inspired by disco DJ mixers on New York City radio. That was a really big deal for me hearing jocks mix records together that I was already familiar with listening to at home. I would say I knew I wanted to be a DJ by the time I was 7 or 8 years old. It would be Larry Levan. I was able to catch him in the final days of the Paradise Garage and it changed my life forever. He controlled people’s minds with light, sound and selection for more than 10 hours a night. He set the standard for so many DJ’s in the sense of diversity, crowd control. I have two different preferences. For dance music that would be three turntables, A Urei or Bozak Mixer, the Pioneer RMX 1000 Efx box, vinyl and Serato. For Hip Hop and sets that require a bit more turntablism I prefer the Rane TTM 62 and two turntables. I use a laptop with Serato. I’ve tried the CD thing and the USB thumb drive thing and for me it’s too much work and limiting. With my laptop I have access to all of the music I could ever want to play through many genres. I’m prepared for anything at anytime. I also get the pleasure of maintaining my skill with turntables and using high quality digital files. It’s not easy bringing vinyl everywhere as it can get costly, and many venues either don’t have decks anymore or don’t take care of them so you run into technical problems. I do think the CDJ 2000’s are a great invention but it’s not my first choice. I can use them if needed. Any special, unique, crazy things on you rider? No, I keep my rider simple. I don’t drink alcohol, so it’s water, natural juices, I need to stay sharp at all times when I’m spinning. Japan, UK, France, and South Africa are my top spots in the world. Hell no, NO SYNC never! This feature should never have been invented. It gives any fool the opportunity to get away with murder. It’s bad enough we have the advancement of technology that allows people get gigs with their laptop and a DJ program but the sync button is the straw that broke the camel’s back. I dig some of them but I would never request them for a gig. I think they’re great for home use especially if you don’t have space for turntables and CDJ’s. Favourite or go-to EFXs while playing? Read the crowd THEN pound it out! Hahahaa. Though rocking big festivals can be a thrill receiving that huge response from a massive crowd, I much prefer intimate clubs because you have a stronger connection with the audience. You can feel the people’s energy much more. Ever miss the CD’s or Vinyl days? the whole world has access to it. It’s caused so much drama in the DJ world with music getting leaked and bootlegged. Back then an exclusive track was either on acetate, cassette or reel to reel! It was more costly to maintain exclusivity. I maintain my library by categories and genres. I even go as far as artist, producers and record labels for some genres. Wavs or AIFF, I’m ridding of all MP3’s. They are compressed files and you can really hear the difference on a good sound system. Play from you soul, and learn the depths of who and what you’re playing. Don’t be scared to take chances and always read your crowd. You are an entertainer. Play what you really want to play but don’t for yourself. If you want to play for yourself, do it in your bedroom. Do you do any of the Obligatory DJ Poses? Never. For what? I let the power of the music pose for me. How do combat the “Everyone is a DJ” mentality? I combat that notion by doing the best performance I can. These wannabe DJ’s can do their pre-programmed sets all they want but nothing beats a skilled impromptu set that is full of surprises. Predictability is so boring. DJ Spinna artist page & releases on Traxsource.